In chemistry, the term “nonmetal” refers to elements and compounds that lack a metallic character. Despite making up only 17 of the 118 known elements, nonmetals are some of the most important elements that are essential for life as we know it. Examples of non-metals include carbon, oxygen, nitrogen, and hydrogen; all of which are the basic building blocks of organic compounds. 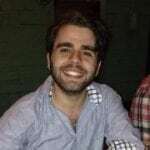 This list of properties is neither essential nor exhaustive. 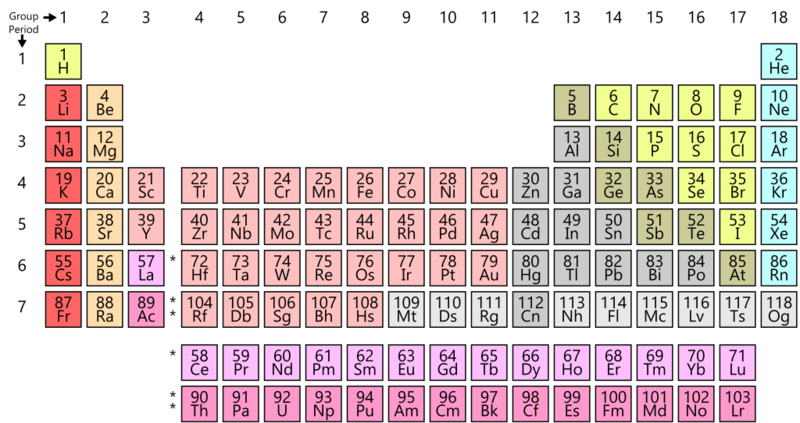 Some nonmetals have all of these properties, some have very few. Graphite, for example, is a nonmetal compound that is a very good conductor of electricity and is used in electronics equipment. Polymers such as plastic are covalently bonded chains of molecules that are malleable and can be shaped. One of the primary characteristics of nonmetals is that they form chemical compounds by making covalent and ionic bonds. In covalent bonds, two elements will share valence electrons until they have a complete shell. Common everyday covalent compounds include carbon dioxide, ethanol (alcohol), glucose, and carbon tetrachloride. Elements in covalent compounds share electrons so that they can each achieve a stable electron configuration. Covalent compounds tend to show the most variation in their molecular geometry. Covalent compounds will take on a shape that minimizes the amount of electrostatic repulsion between electron pairs. Covalent bonds normally form between two nonmetals. In contrast, ionic bonds tend to form between nonmetals and metals. In ionic bonds, one element takes electrons from another which creates a cation and an anion. Oppositely charged ions attract each other and clump together to form ionic compounds. Common ionic compounds include table salt, carbonate, sulfate, and potassium chloride. Ionic bonds tend to form between elements that differ greatly in electronegativities (ΔEN > 2.0). Most ionic compounds arrange themselves into a periodic structure of ions known as a lattice. Most compounds covalent and ionic compounds made out of nonmetals tend to be brittle and will shatter if a large enough force is applied. Unlike metals, nonmetal compounds are not malleable and ductile. Most nonmetal compounds cannot be deformed past a certain point without breaking and will lose their strength when molded. Nonmetal compounds tend to be brittle on account of the nature of their ionic and covalent bonds. Both ionic and covalent bonds involve the sharing/capture of electrons. Both kinds of compounds arrange themselves in such a way as to minimize electrostatic repulsions. For example, in an ionic compound, positive and negative atoms are locked into place in a tight crystal structure with positive ions aligned to negative ions. Applying a force can shift the alignment of ions so that positives align with positives and negatives with negatives. The repulsion causes the compound to fracture. Likewise, covalent bonds require electrons and atoms to be arranged in a particular way. the application of a mechanical force disturbs that arrangement causing the compound to fracture. In contrast, metallic bonds can move and slide past each other due to their delocalized electron bonds. This is why metals are ductile and malleable, they can change their atomic structure without breaking their chemical bonds. 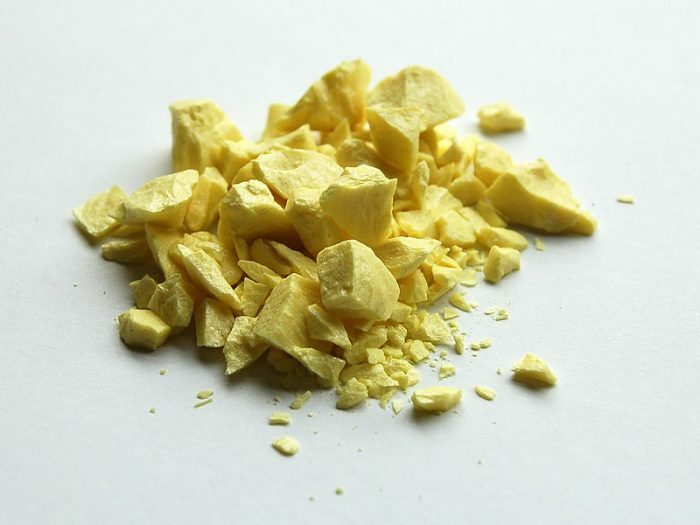 It is not true that all nonmetal compounds have low melting points and boiling points. Salt, for instance, has a melting point of 801 °C which is very high. However, compared to metals, nonmetal compounds do have relatively low melting.boiling points. Low melting and boiling points explain why the majority of nonmetals are gaseous at room temperature. Nonmetal compounds, specifically covalent compounds, have low melting and boiling points because of their relatively weak intermolecular interactions. The phase behavior of a substance is determined by the strength of its intermolecular bonds. Metals have very high melting and boiling points because they have very strong intermolecular attractions. Covalent compounds, on the other hand, do not have strong intermolecular attractions. This is because most covalent molecules are electrically neutral and so don’t attract their neighbors, at least, not to the extent that metals do. Ionic compounds have higher melting/boiling points than covalent compounds, but still less than those of metals. Heating an ionic compound increases the kinetic energy of the particles. beyond a certain threshold, kinetic energy overcomes electrostatic attraction and the lattice structure comes apart. In contrast, metals have very high melting/boiling points because their atoms can shift places without breaking chemical bonds. Nonmetals tend to have high ionization energies. This means that it is difficult to remove electrons from nonmetal atoms. Nonmetals have high ionization energies because of how large their nuclei are compared to how full their electron shells are. The large, positively charged nuclei of atoms like oxygen and fluorine attract their electrons very strongly, making them difficult to remove. The same reason explains why nonmetals also tend to be more electronegative than metals. The positively charged nuclei of nonmetals exert a strong pull on electrons, strong enough to sometimes remove them from neighboring atoms. in general, the further left one goes on the periodic table, the higher ionization energies and electronegativities get. Nonmetals also tend to be relatively poor conductors of heat and electricity, though some exceptions exist. The reason why nonmetals are poor conductors is related to the reason why metals are comparatively good conductors. Metals conduct heat well because they can absorb a lot of kinetic energy without breaking their bonds. Nonmetals, in contrast, need a fixed arrangement of atoms to remain stable, so too much kinetic energy will overcome their bonds. Metals are good conductors of electricity because they have numerous open orbitals that electrons can move through. Nonmetals tend to have full orbitals, so electrons do not have any place to go when introduced to a voltage. The Curious Case of Hydrogen: Metal Or Nonmetal? Generally, the very first element hydrogen is classified as a nonmetal. However, hydrogen has a very unique mix of properties that make it hard to classify as a metal or nonmetal. For instance, hydrogen engages in covalent bonds and exists naturally as a gas, like a nonmetal. However, hydrogen also readily shed its single electron to form positively charged ions, a property mostly seen in metals. 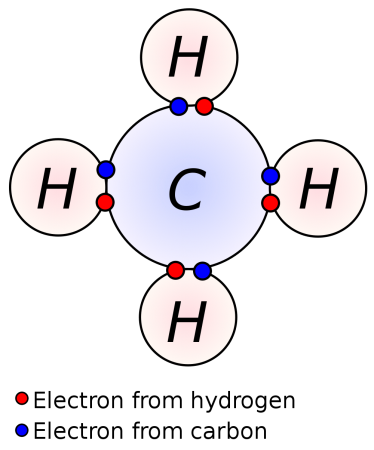 Hydrogen’s unique mix of properties is a result of its very simple atomic structure. In 1935, physicists Eugene Wigner and Hillard Huntington predicted that at extremely high temperatures and pressures, hydrogen would condense into a metallic liquid or solid. This exotic phase of hydrogen is predicted to behave like a metal and be a very good conductor of heat and electricity. As of now, hydrogen has only been observed to exist in its gaseous state, though it is believed that liquid metallic hydrogen may exist in the cores of gas giant planets like Jupiter or Saturn. A dense core of liquid metallic hydrogen would explain the extremely powerful magnetic fields of gas giants that are at odds with classical predictions. To sum up, a nonmetal is a chemical that is characterized by a lack of metallic properties. Nonmetals are typically gaseous or liquid at room temperature and are divided between the reactive nonmetals and noble gases. Nonmetals engage in covalent bonds, form brittle fragile compounds, have low melting/boiling points, have high ionization energies and electronegativity, and are poor conductors of electricity. 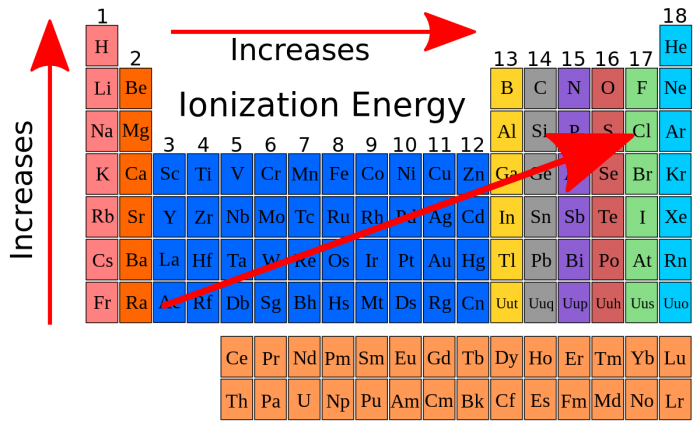 Nonmetals are more chemically variable than metals due to their relatively wide range of atomic nuclei sizes and electron configurations. All nonmetals are located in the p-block of the periodic table.